The No. 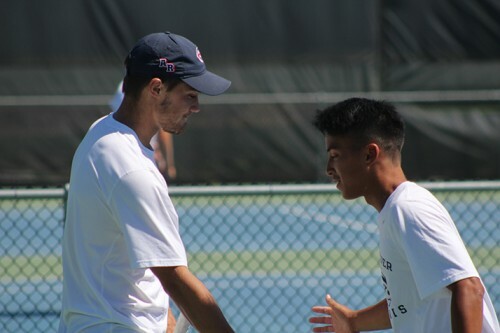 1 ranked American River College men’s tennis team advanced to the semifinals of the NorCal championships after a 5-0 win over Modesto Junior College on Tuesday. The remaining four matches were cancelled after ARC clinched a majority of the wins over the #8 ranked Pirates, moving its overall record to 15-2 on the season. Coach Bo Jabery-Madison said that the team was able to pick it up after suffering a somewhat slow start. The team was tired and fatigued after competing in the Big 8 Conference tournament over the weekend, barely missing out on capturing any titles. “Alex (Meliuk) got to the finals, after a great semifinal win over a Sean Alves from Folsom College in one of the best matches I’ve seen at the community college level, but you know he just didn’t have enough energy for the final,” Jabery-Madison said. Meliuk said that the team performed well in the tournament, but missed opportunities in the final. Jabery-Madison still considered the tournament a success despite not bringing home the trophies. The team has rebounded again by winning all the doubles matches and winning 2 singles matches against Modesto in the NorCal tournament. Sophomore Dylan King thinks that the team started slowly and that’s something that needs to be addressed before the next match. Sophomore TJ Auckland said that it was nice to be recognized as the No. 1 seed and that the team needs to stay the course in order to keep playing well. “We just need to keep doing what we’re doing, hit the practices hard, rest up and keep up with the game plan,” Auckland said. ARC’s next match is Tuesday hosting No. 5 ranked Chabot College. 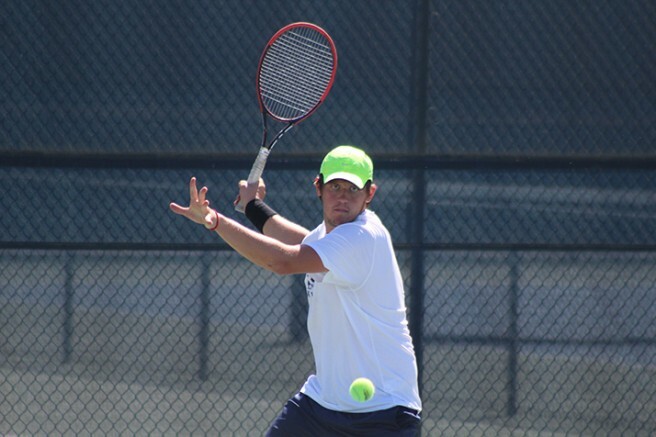 Be the first to comment on "Men’s Tennis team advances to NorCal semis"